You can buy a healthy home . . . and save money! You can attract home buyers by featuring a home’s healthy amenities. Purchasing a healthy home is a good investment from many perspectives. Buying a healthy home means paying attention to features beyond immediate impressions and understanding how a home works to keep you comfortable, both physically and mentally. Whether you are buying an existing or a new home, the steps are similar. Priorities: As your agent, I first listen to your story to understand your priorities, such as lifestyle preferences, possible medical or age-related challenges, environmental safety, carbon footprint, and your available timeframe for possible improvements. These conversations provide insight into and a framework for looking at your potential future home through a healthy-home lens. Financial Assessment: We determine a budget within which we can accommodate a potential home’s price as well as any needed upgrades and/or strategy to align the home with your priorities for energy efficiency, quality indoor air, comfort, siting, and water efficiency. Location: As the buyer, you identify a preferred community and/or location to begin your search. Features: When viewing potential homes, we place a priority on the home’s envelope—its four walls, floor and ceiling—and mechanical systems. Using visual and analytical data, we assess how each of these impact energy consumption, indoor air quality, and health costs, among other elements—and the potential for improvement. Siting: The configuration of the land and siting of the home on it may provide advantages, challenges, and/or opportunities associated with heat gain, ventilation, drainage, and water management. These are considerations often overlooked by the focus of mainstream marketing on cosmetic features. Contract and Future Planning: Once a home is identified that balances your budget with desired existing and potential benefits, a contractual offer can be written, along with a plan to bring the home into alignment with your own healthy-home priorities. Rule #1: Just because a house is new, doesn’t necessarily mean it’s healthy. A new home may initially pass the “cosmetic” test, however it’s important to look deeper. To keep construction costs down, some builders may opt for lower-quality materials that may have adverse health effects. In helping buyers purchase a new construction home, I pay close attention to building science to determine if the home has the potential to ensure comfort and health, save money in the longer term, and minimize its environmental impact. Listening: In working with you to sell your home and embark on the next stage of your journey, I begin—as we do with buying a home—by listening to your story. I want to hear how you have enjoyed your home, what exceptional features have made it special for you. This helps determine the most effective approach to achieving optimum value for your home in the most efficient timeframe, allowing you to begin your move forward. Marketing: Together, we walk through your home and around your property, enabling me to see how your story and lifestyle meld with your home. In addition to the convenience and cosmetic features you love, does your home have “green” features integrated into an older home? 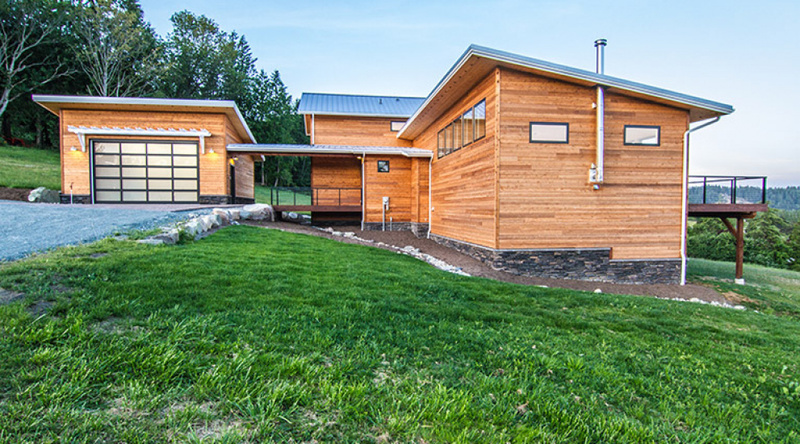 Is it a high-performance home with amenities such as solar, energy efficiency, quality indoor air? Is it well sited and water efficient? These add value to the bottom line sale price and provide details and opportunities to feature in marketing the property and presenting it to potential buyers. Appraisals and current market values are additional considerations that reveal a market range suitable for selecting a listing price range. If you’re not quite ready to move and are thinking about a potential healthy-home upgrade, consider the double advantage of enjoying the benefit yourselves now, while adding to your home’s future value.